At Premier Granite, we fabricate, install and repair the full range of granite, marble and quartz countertops throughout Grand Rapids and Central Michigan. 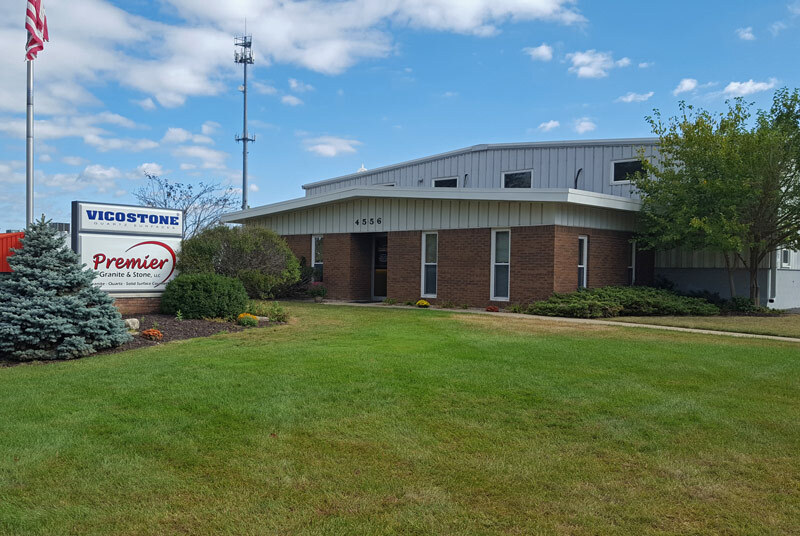 Because of our dedication to quality and customer service, our exceptional reputation extends to over 150 designers and builders throughout West Michigan. If you are looking for beautiful, durable countertops to upgrade a kitchen, island, or bathroom vanity, we can help! We have a large selection of top quality granite and quartz slabs to choose from, many of which are on display in our stunning showroom. Come see for yourself why we are the premier destination for countertops in Michigan. Conveniently located just 15 minutes from Grand Rapids, we service both Grand Rapids and the entire surrounding area. If you need an installation or consultation near the Lake Michigan area, we will gladly make the trip! Many of our beautiful surfaces are on display in our stunning showroom. 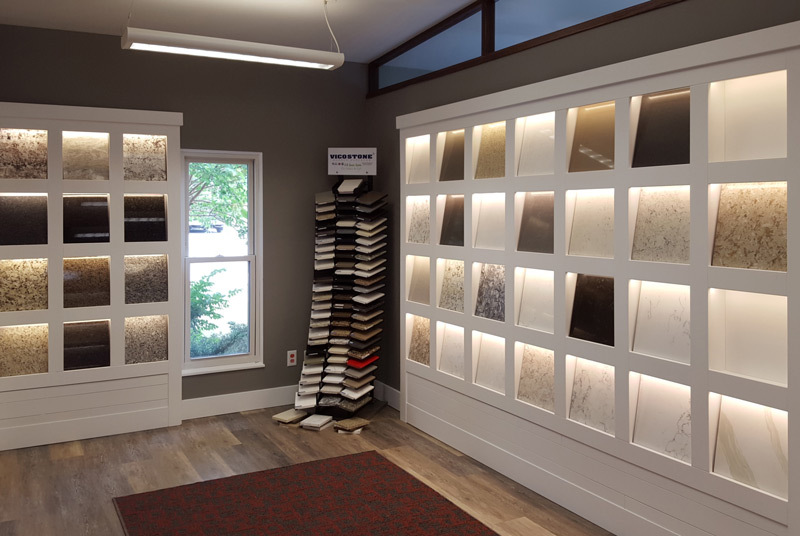 Our friendly, knowledgable staff is always ready to accompany you through the showroom and help you choose a countertop that fits your budget and design style. You will be able to handle granite and quartz samples to see how they look under different lighting, and how they contrast with various paint and wood colors. 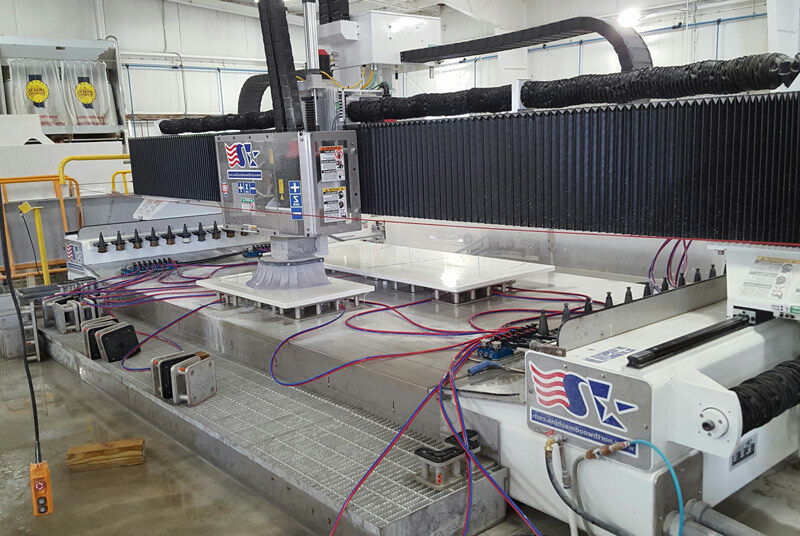 We use state-of-the-art fabricating equipment to measure, cut, and polish your chosen countertop into a masterpiece. Every countertop that leaves our warehouse has been given a thorough inspection to ensure that we install only the highest quality surfaces. This is a great operation! I had them install granite in my kitchen and just scheduled installation for my main bath. Four of my close friends have worked with them too and everyone was impressed!